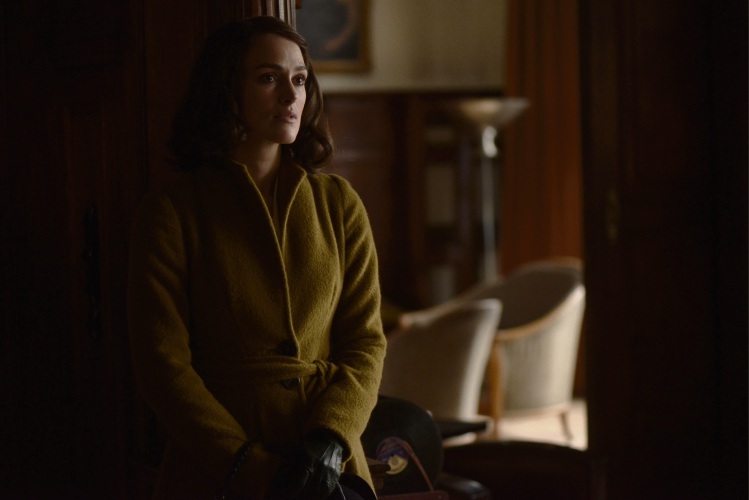 Keira Knightley as Rachael Morgan in The Aftermath. HAMBURG post World War II is in ruins and the British army, in charge of rebuilding the city, are requisitioning the homes of Germans to live in while they carry out this work. Rachael Morgan (Keira Knightley) arrives from England by train, seeing loving couples reuniting on the platform while her husband Lewis (Jason Clarke) greets her with a chaste kiss on the cheek. Lewis is a colonel and so is assigned a particularly grand house currently still occupied by its German owner Stefan Lubert (Alexander Skarsgard) and his daughter Greta (Rosa Enskat). While Lewis is sympathetic towards Stefan, letting him and Greta stay on in the attic instead of moving to a camp, Rachael is uncomfortable having to live in close quarters with people she considers no different from those who bombed her house in London during the war, killing her son. 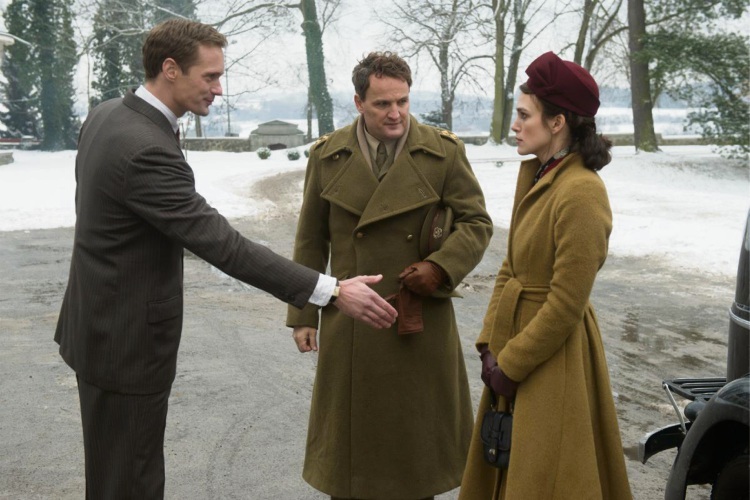 Keira Knightley as Rachael Morgan, Alexander Skarsgard as Stefan Lubert and Jason Clarke as Lewis Morgan in The Aftermath. While Lewis is away all day searching out Nazis, it seems inevitable that two such attractive people as Knightley and Skarsgard left alone in a glamorous house find solace in each other’s arms. The film focuses on the charged relationships between these three characters and all three actors provide solid performances, Australian actor Clarke a particular highlight as the stolid but empathetic colonel. However theirs is a story that has been told many times before, whereas the backdrop of a war-stricken Germany beginning a long recovery offers a glimpse of a much more interesting film. The production and costume design is stunning, with a stylish contrast of cool blues and warm browns and gold, while the cinematography beautifully captures the snowy landscape and luxurious interiors. Though an engaging film, The Aftermath never gets to the emotional heights it clearly intended to reach.